There have been so many blessings that it’s difficult to keep track. 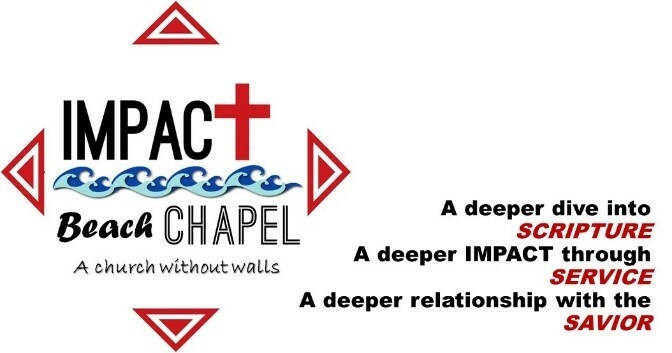 That’s why we started a Blessing Jar in our new Chapel program – Impact Chapel. Each blessing can be written down and stuffed in the jar. On Thanksgiving we will empty the jar and rejoice at what God has done. In May, my wife, Tracy and I celebrated 25 years of marriage! What a wonderful journey it’s been. Our oldest son, Jordan, came to visit us for 6 weeks. 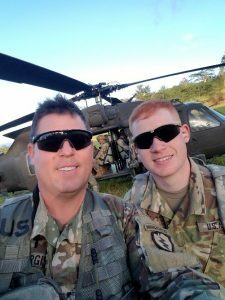 Since he is in the Army National Guard, he could join me on the “Best Unit Ministry Team (UMT) Competition” that included Land Navigation (or Geo-caching for civilians), Field Services, an 8-mile ruck march, and flying in Blackhawk helicopters. We have never served together in this capacity. 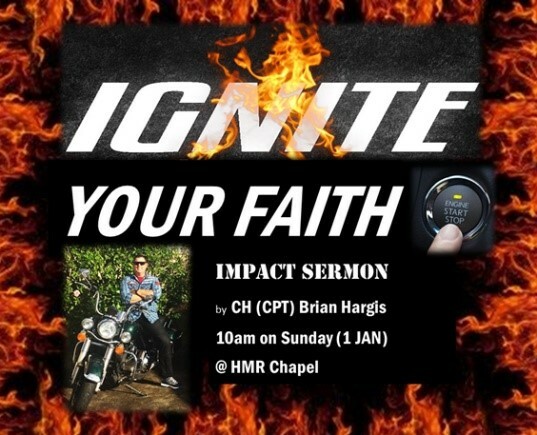 Jordan also played and sang for IMPACT Chapel on Sunday. It was great! 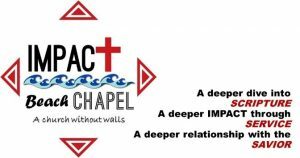 God has given me great favor with the Installation Chaplain, and he has encouraged and empowered our growth of the new service for Hawaii called IMPACT Chapel. On Pentecost of 2017 (4 June) we launched the “official” theme. We experienced numerous salvations and baptisms during this quarter, and most notable was the April Easter Beach Service where our attendance reached 210 and we had 12 ocean baptisms! We meet on the beach every 3rd and 5th Sunday. God continues to meet our needs and exceeds every expectation. We are too blessed to be stressed or depressed. Other blessings for the quarter included visits from friends and family, as well as conducting a Strong Bonds retreat for Single Soldiers. I also traveled to Ft. Knox and visited 120 of my Soldiers there. They are providing summer training to ROTC Cadets. I gave 3 field services and had a handful of counseling sessions. At the end of May we Finished up 5 months of study on the Marriage Enrichment Workshop at Main Post Chapel. Our average attendance was 15-18. In August, I’m going to kick off a Biblical Parenting class. Recently the promotion board results came out and I’m on it. I should pin on Major in December or January. We also sold our home in Louisiana, which was a HUGE burden lifted! Thank you for praying. But for me, the biggest blessing of the quarter was with something very unexpected from my wife Tracy. She applied for PWOC (Protestant Women of the Chapel) President, and was selected! This is a big step for Tracy, and her sphere of influence is huge here on island. She is an amazing woman who will do great things for the Lord and the ladies of PWOC. Continued strength and recovery from surgery. Church ministry – salvations and growth. Wisdom to lead and empower. Favor with God and man. 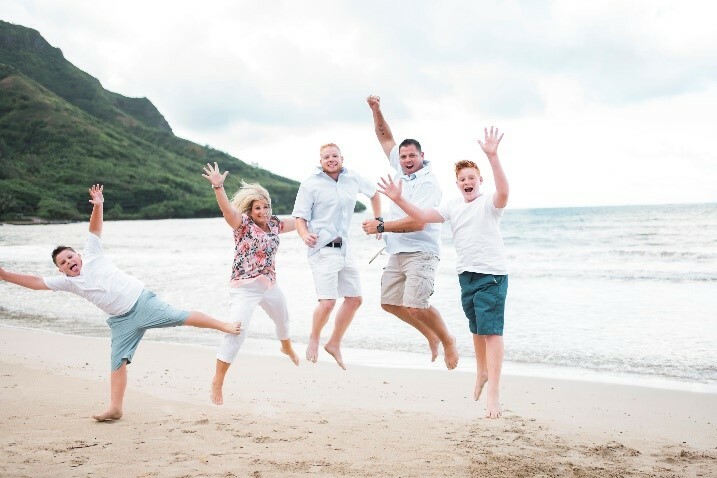 Tracy – to lead and encourage ladies of PWOC. 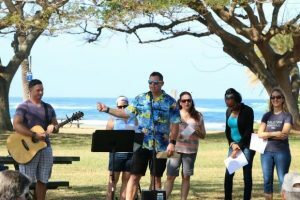 For more ministry reports and stories of God working in and though CBAmerica chaplains, go to www.cbamerica.org/chaplaincy. If interested in finding out about endorsement as a military or civilian chaplain, contact Andy Meverden, Director of Chaplaincy at chapandy@cbamerica.org.